To compare the outcomes of embryos selected via time lapse monitoring (TLM) versus those selected with conventional methods of selection in subfertile women undergoing ICSI. The study population (239 women) was classified into two groups, based on the monitoring method used: Group 1 (TLM) and Group 2 (conventional monitoring). Groups were compared according to the clinical and ICSI cycle characteristics and reproductive outcomes, while transfers were performed at day 2 or 3. Subgroup analyses were performed, in women of both groups according to age and clinical parameters, and in embryos of Group 1 based on their cellular events. There was a statistically significant difference between the two study groups with regard to the outcome parameters, favoring Group 1 and especially in women >40 years of age. 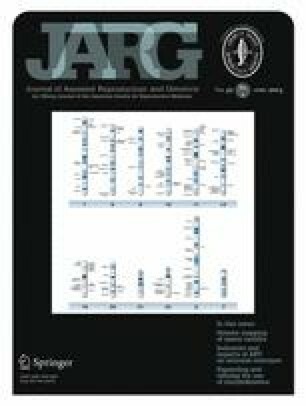 No differences were found in subgroup analyses in participants of both groups, regarding the stimulation protocol used, number of the oocytes retrieved and type of subfertility, while in Group 1 the percentages of “in range” cellular events were higher in certain divisions in ages 35–40, non-smokers, and the GnRH-agonist group, and in embryos that resulted in pregnancy. Morphokinetic parameters of early embryo development via TLM are related to the characteristics of subfertile patients and associated with ICSI outcomes. This prospective cohort study showed that the morphokinetic parameters of early embryo development observed via time lapse monitoring in subfertile women undergoing ICSI are related to the special characteristics of these women and are associated with ICSI outcomes. The online version of this article (doi: 10.1007/s10815-015-0436-z) contains supplementary material, which is available to authorized users. The authors wish to thank the clinical, paramedical and laboratory team of Mitera Assisted Reproduction Unit. There was no finding for the current work. The study is a part of the Msc thesis of the second author. CS: Study design, interpretation of findings and manuscript preparation. MAK: Study design, data collection and data analysis. AM: Data collection, data analysis and manuscript preparation. AS, MB: Clinical embryology, data acquisition and interpretation of results. GS, GM: data acquisition and interpretation of results. GAP: Study concept and design, clinical embryology, data acquisition, data analysis and interpretation. All authors critically reviewed and approved the final version of the manuscript. Higgins JPT, Green S. Cochrane Handbook for Systematic Reviews of Interventions Version 5.1.0 [updated March 2011]. The Cochrane Collaboration. <http://handbook.cochrane.org/> (2011). Accessed on 31 Dec 2014.